Recently Samsung launched Samsung Galaxy M10 and M20. 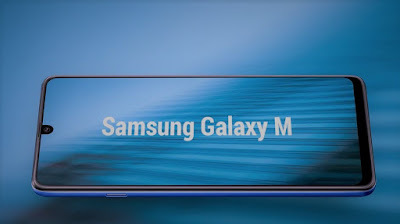 Now we are thinking about Samsung galaxy m30 when it will launch. So let's start with this article and know what's Samsung Galaxy M30 specification, feature and price. 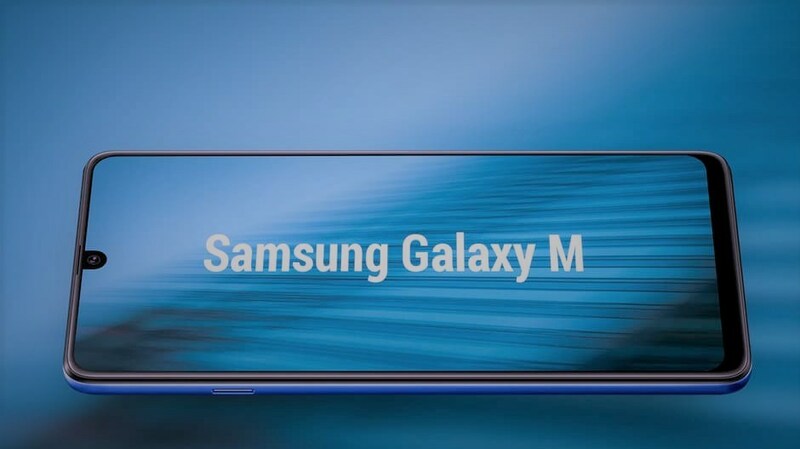 Samsung galaxy M30 specifications are quite interesting first talk about its display. It has 6.2-inch super AMOLED infinity U display that we see in redmi note 7. It's AMOLED display so it's very bright and with punchy colours. So its display going to be awesome. There are 2 rumours for it. 1st rumour is it has Exonus 7904 processor. It is a 14nm processor clocked at up to 1.8GHz and has six A-53 and two A-73 cores. and Mali G71 GPU. That we saw in Galaxy M20. 2nd rumours are its has Snapdragon 660 with 2.2 GHz clock speed with Adrino 512 GPU. 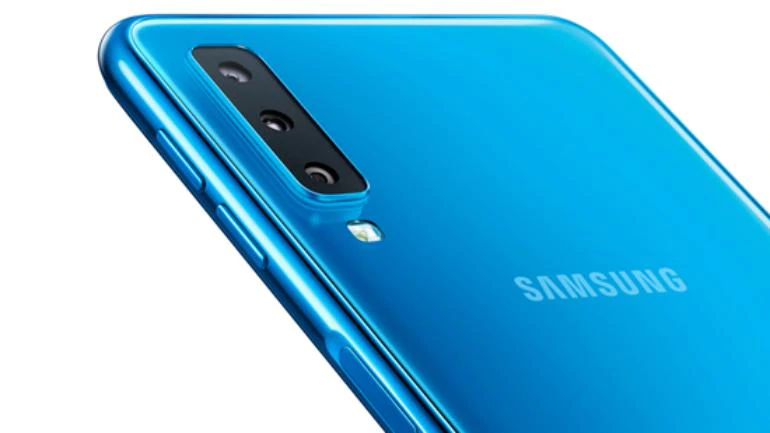 There are 3 rear cameras in Samsung galaxy m30 like Samsung galaxy A7 (2018) with 24 MP, f/1.7, 27mm (wide), PDAF8 MP, f/2.4, 18mm (ultrawide)5 MP, f/2.2, depth sensor. And 16 Mp front camera shooter with f2.0. It will available with 2 versions.4 GB RAM and 64 GB storage and 6 GB RAM and 128 GB storage. You can get the hybrid sim slot option and you can see the memory card to extend your storage. there is 5000 Megahertz large battery on samsung galaxy M30 with fast charging support. Its support 15 watts fast charging. Samsung will provide you 15 watts fast charging inside the box. According to recent news, it will come to India at price of 17,990 and 20,990 for 4 GB RAM and 6 GB RAM. There are only 2 variants will launch. there is no 3 GB version available. Now I am going to tell you what I think about this device. This phone is really great with specifications like a battery, cameras, display but one spec I don't like that it has the same processor that we see in galaxy M20. That one point I disappeared with Samsung Galaxy M30. 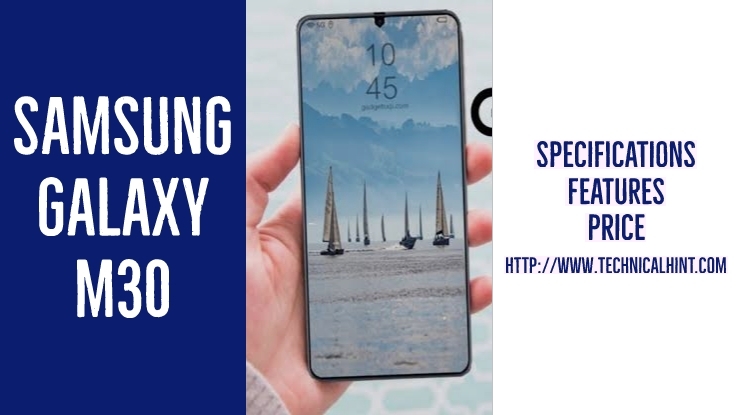 I hope you like our article on Samsung Galaxy M30.then shares with your friends on social media.